Are you allowed to have 2 v5 vision sensors or is not even possible? i dont have v5 but we will be getting them soon, is there only 1 vision sensor port or can you have more than one? I don’t think there’s a rule against it, but they are large and difficult to code. They just use the smart-ports. I’m not aware of any coding limitations, so you should be able to use more than one. 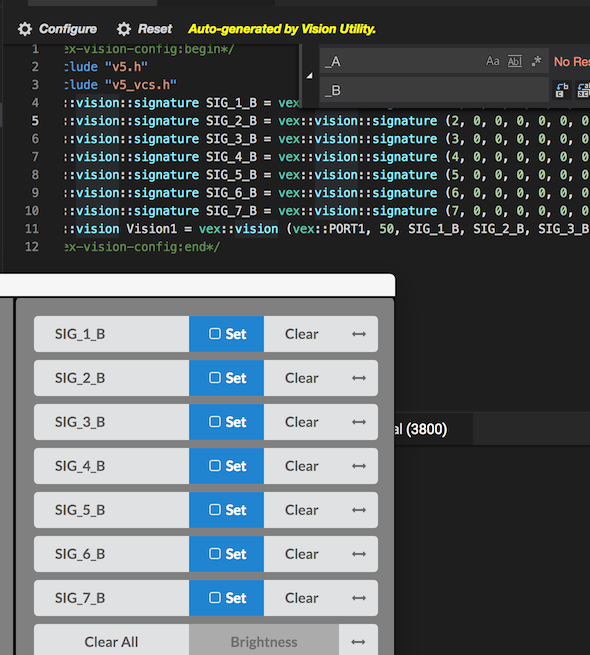 I’m trying to connect two vision sensors now, but I keep facing a compile error from the Sig’s has anyone else actually tried it. Do the signatures between two vision sensors clash? I removed one camera and there isn’t any other problem with the code. Edit: Having left school I’ve just thought of the possible solution. Every signature name needs to be different on both cameras, I was only getting clashes on the sigs of the same name. I will try this next week and report back. Yes, that’s correct. You want different signature names on each one, and the default names are the same. Change the names and you should be good. As for difficulty of coding, my beginners are not finding them hard to work with. Thanks for the confirmation. Had the sudden realisation as soon as I’d left. It is even all the signatures that are unused. They are easy in terms of identifying objects. Takes a little more to select the right object Aiming isn’t too bad a code either, full PID gets a bit more challenging. This is our first proper go at it. Hi, I’m new to this vision sensor and I 'm trying to write my code in Vex Coding Studio. Also, I’m trying to work with 2 vision sensor at the same time but facing some difficulties. For example, 58%20PM|443x134 and I’m not sure how can I prevent the 2 sensors from clashing, can someone help ?? Not this? From three posts above. 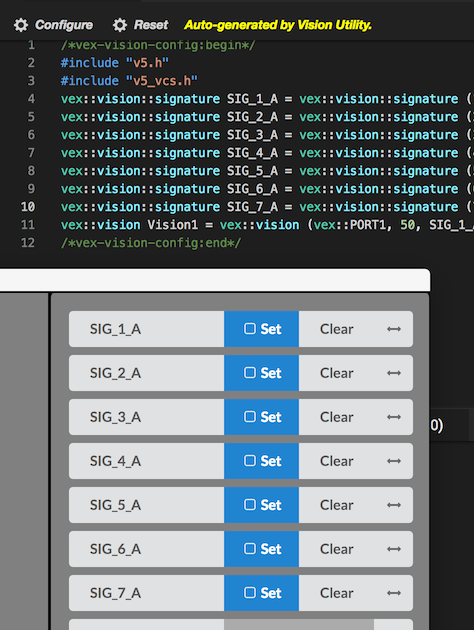 Not sure exactly what you have tried, but you need to have unique signatures for each vision sensor (unless you have manually setup the vision instances yourself, then you could share signatures). here is first sensor, I’ve appended “_A” to each signature name.